56 names of sanfilippo on this car this year!! Please join us for a night of delicious food, fantastic wine, and great company for a great cause! 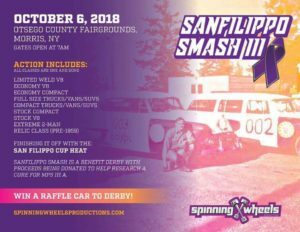 We will be supporting the Team Sanfilippo Foundation’s efforts to find a cure for all of the children afflicted with Sanfilippo Syndrome, also known as MPS-III, a rare and fatal genetic disorder. Mickey Merrill was diagnosed with the disease, often referred to as Childhood Alzheimer’s, just last summer. In addition to a very special meal from some of the Delaware Valley’s best chefs, we will feature the first ever-public screening of “The Weight of a Mountain”, a short documentary about Sanfilippo Syndrome. Produced by Dan Salvo of DP Studios, the film features Carl Kapes, a fellow Delaware father whose children Ryan and Brayden also suffer from Sanfilippo Sydrome. Please view the film’s trailer below. What an awesome response to Merrill family for support for Mickey! I encourage you read this article about the 2 events that her family had to help further treatments and a REAL HOPE for Mickey and others! Thank you to all who supported these events!! Dec 4, 2017 check out the link here and the article below. The menu looks fabulous!! Don’t miss out! Saturday August 12, 2017 – Bowling, Raffles, Auctions, Baked goods, door prizes and fun !!! March 5, 2017 – Team Sanfilippo has a new shirt!!!! Money goes straight to Team Sanfilippo and then into helping fund treatments for Sanfilippo children of all ages and stages of the illness. Please consider buying a shirt today!! We have 2 studies going on now a clinical trial happening in about 30-45 days and hopefully another trial later this Fall! All funds from this go towards helping with trials and studies. MPS III / Sanfiliippo families, please when you get a chance, log into your patient profile on https://connect.patientcrossroads.org/?org=ConnectMPS and complete the new survey. This is a screen shot of where you need to be to complete the surveys. On the left side column- if you have an orange explanation mark next to the survey, then that’s the one to be completed. Also notice that there is a place for you to upload medical reports. The registry is for all MPS, ML and glycoproteins. However the newest survey that went out is for MPSIII patients. Note all data is de-identified and this new survey was written by BioMarin. The story is one that many parents who have gone before us have done as well, only to see their children pass on because time is critical in funding for treatments that have been on the horizon for a few years now! Carl’s youngest may have qualified just one before, now things are questionable because of delay in the initial trial. His heart is wrenched, as here’s a man who has physically and emotionally done all one can do, not depending on others all the time to raise the money! He was proactive and still is though heart broken . Take time to read the story if you will. The truth is here for most of us. TSF is continually working towards cures and treatments for quality of life, as that is what most us have to live with.. Quality of life!! 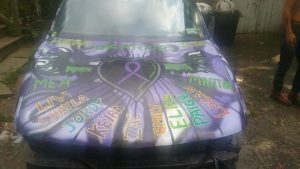 Please share his story and donate what you can! Be blessed and Thank you! Ryan Kapes, 11, left, with his dad Carl and brother Brayden, 8, watch The Backyardigans at their home in Wilmington, Delaware. Ryan has Sanfilippo Syndrome, a genetic disease that attacks the central nervous system. Most children with the condition die before the age of 20. In the demonstration that the run rises always the hearts and enlighten us for solidarity, our great friend Raul Santana fine marathon runner and ultra-marathon runner, shall comply with this ultra-marathon tomorrow Saturday 28 may with a special purpose: raise awareness about the Existence of the apocalyptic suffers from a rare disease that my daughter, as well as so many other children in his condition, Sanfilippo Syndrome. This is a disease that is presented in a statistic of 1:80.000 births and being genetics, begins his evidence generally from the age of 4 years, gradually stealing all his skills, (talking, eating, walking… Breathe), Less his unwavering desire to live. Raul Santana bet in this ultra marathon not only to meet the highest mileage possible, but to work together to make a cure a reality. The symbol of the nanny goat immaculate is a reflection of the power of innocence and the love of God that can never leave without protection for these children and their families. Thanks Raul Santana!!!! Sunday April 3, 2016- 2nd Annual Ride for Sanfilippo! If you’d like an easy to do fundraiser to help provide funding for the approved gene therapy drug to be made for our kids who are younger, and also to help families if needed, get to and from the clinic location, this is an easy fundraiser anyone can do! It will take approx. 250K per child to receive the drug. That is a lot of money to raise, drug companies are not helping with this funding until after the trials are complete in our children and they see results. So please help, as every dollar counts! Popcorn for Cure! 40% of your purchase of this awesome popcorn goes to Team Sanfilippo towards Gene Therapy and helping families to get thru it! Check out the awesome selection! Flavors for you, your friends and family as gifts, an office party, baby shower, or any gathering where snacks and food are needed! Bring something unique and tasty! https://www.supportyours.org/store/teamsanfilippo/sort/all < please copy and paste the link, for reason links are not working today! Thanks so much, every purchase matters! May 8, 2015 – Guest Bartending Night 6pm -9pm Stay late for live music!! Sunday April 12, 2105- 1st Annual Bike Run! Collect Old Shoes, Fund Gene Therapy! *Shoes are shipped to under-developed countries, where they are recycle via funds2org.com. To see how you can help, click here > http://www.volunteermatch.org/search/opp1749366.jsp this one is easy, anyone can do it!! Our beloved son Gabo was born on February 14, 2010, the most amazing Valentine’s gift ever, and the answer to our prayers to complete our family. His first year’s development was normal. However, at 16 months, we noticed he had lost the few words he had acquired up to that point and his overall communication skills had declined. Our search for answers started and the first diagnosis we received was Autism. National Rare Disease Day February 28th! 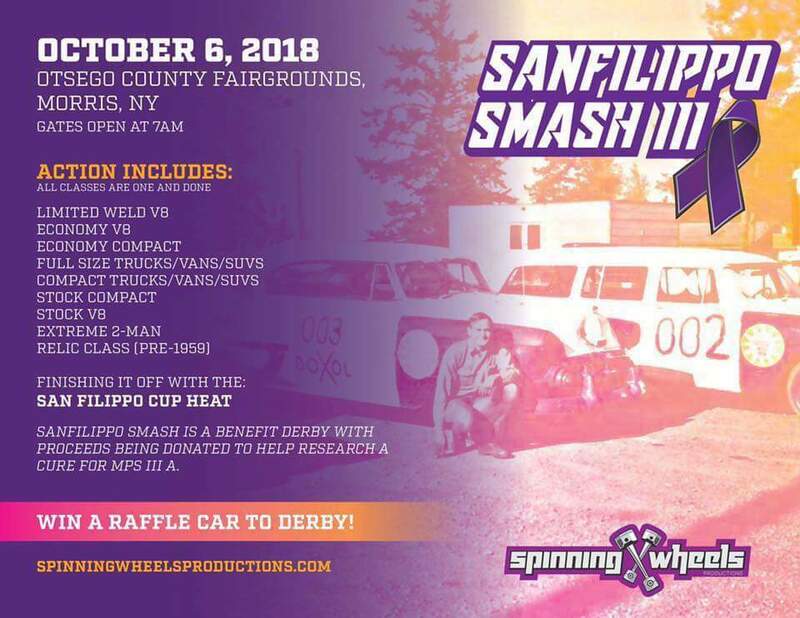 Jonny -Lee Miler of “Elementary” advocates for Sanfilippo. CBS did an excellent interview. Bravelets™ bracelets are worn to help you be strong and brave in tough situations. Check out some of the selections, these are just two them pictured here. They make wonderful gifts as well.